One of the most popular devices of our time is the iPhone. This device operates on the iOS operating system. Users may have a situation when it is necessary to transfer contacts from an iPhone to a SIM card or vice versa. To cope with the task, you need to explore all possible ways, and then choose the most affordable. Before copying contacts to a SIM card in a similar way, it is worth noting that it is only suitable for a device with a jailbreak. If the smartphone is not “hacked”, you can proceed to the next method. 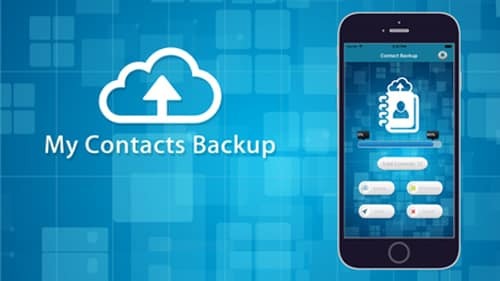 So, how to copy contacts from iPhone without the help of experts? Everything is simple, for this you need to install an old program called "SIManager". It is recommended to download the version of "1.7", since it works relatively stably. The program interface is intuitive, so even a beginner can handle it. Since the user needs copy contacts from iphone to sim card, you need to click on the button "copy iPhone to SIM". The only drawback is the obligatory presence of a jailbreak on iPhone. It should be noted that the limit on the number of characters and fields allowed for storage on Simka may work. The application is free, but the developers have added advertising. Users who have an iPhone without a jailbreak will have to work a little, since there is no direct way to copy contacts. Of course, you can rewrite all the numbers manually and save them on Simka, but this is hard work, so it’s best to consider third-party services. Application program My Contacts Backup. These are not very convenient ways, but there is no other option, so the poet needs to decide on the method. Note that the transfer may take from 30 seconds to 3 minutes. Before copying your contacts, you need to visit the website “itunes.apple.com” and then find the program My Contacts Backup. After installing the program, a message will appear asking for access to contacts. To continue work, you need to click on the button "Allow". 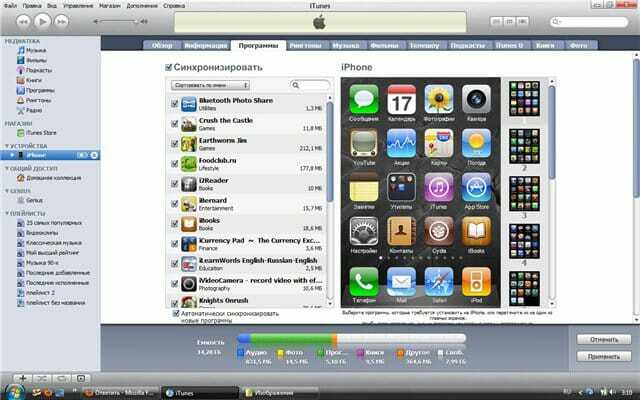 The program will automatically determine the number of contacts on the iPhone. To copy numbers, click the “Backup” button. It will take several minutes (it all depends on the number of records in the device) to process the data. In the next step, you need to click on the Email button. After that, the list of contacts as a file will be uploaded to the mail service. In the "To" field should specify your email address. Now you just click on the "Send" button. After the SIM cards are installed in another smartphone, the user only needs to download the file sent to the previously specified E-Mail. For import contacts You need to select the VCF file copied from the email box. Do not forget that the number of characters in the name of the addressee is limited. Therefore, the name can be abbreviated. To start the process of copying contacts, you need to synchronize your device with your computer, through iTunes. This method allows you to move numbers from the card to the iPhone, and vice versa. First you need to use a USB cable to connect your mobile device to your computer. After that, in iTunes, you need to select the connected iPhone. When the device is open, you need to click on the "Information" button. Now you should wait for the synchronization process to complete. This list may contain additional services. Through 2-3 minutes the contacts will be downloaded to the selected service. Now it remains to connect a new device, after which a copy of the list will be downloaded from the cloud. Contacts will need to be moved to the selected SIM card. IPhone owners are advised to figure out how to transfer contacts with sim cards on the device. In fact, even a novice can handle copying numbers. You must enter the settings, and then select "Mail, addresses, calendars." When the application opens, you will need to click on the “Import SIM contacts” button. All numbers will be transferred to the device. Copy time depends on the number of entries. In order not to permanently transfer contacts from sim and back, it is recommended to synchronize with iCloud. This makes it possible at any time to restore the numbers of subscribers. The process of transferring contacts to iphone sim card Radically different from other smartphones. To cope with the task, you have to work a little. If you do not want to "hack" your mobile device, you need to use iTunes. This is the best option, especially for beginners. Ideally, of course, synchronize the iPhone with the cloud service. Then at any time it will be possible to copy numbers to any smartphone, as well as to perform a recovery procedure in case of damage to the device.